News about the world’s coral reefs has been relentlessly bad for a number of years. 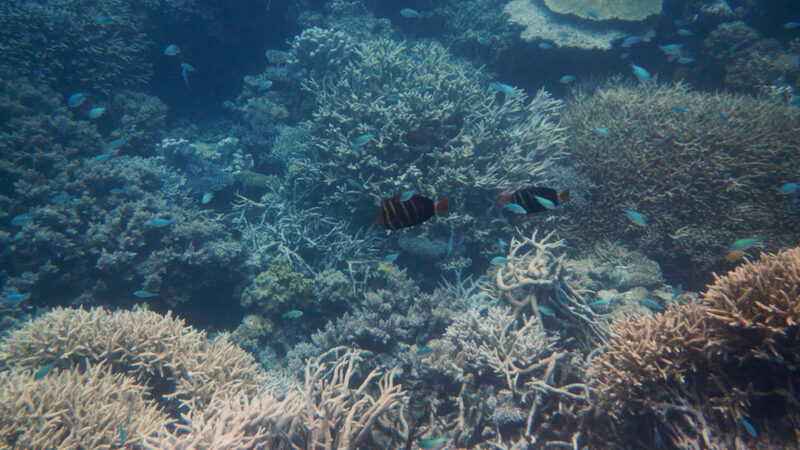 Warming, acidifying oceans have wreaked havoc with coral reefs leading to enormous losses. Nowhere have things been more dire than in Australia’s Great Barrier Reef. Coral bleaching events have been increasingly common and severe over the past two decades. In fact, only 7% of the Great Barrier Reef has escaped bleaching entirely since 1998. While the future of the world’s coral reefs is very much uncertain as global heating continues, there is a recent bit of hopeful news. According to a study published in Nature Climate Change, the response of the Great Barrier Reef to the extreme temperatures in 2017 was quite different from that of the previous year in the aftermath of back-to-back bouts of coral bleaching. Surprisingly, corals that bleached in 2016 but managed to survive were more resistant to the recurrence of hot conditions in 2017. Many corals don’t survive bleaching events at all and, of course,those corals don’t bleach for a second time. But the surviving corals from the 2016 bleaching event were tougher species. As a result of bleaching, the mix of coral species on the reef is changing very rapidly. The net result was that there was less bleaching in 2017 even though the temperatures that year were even more extreme than in 2016. There have now been four mass bleaching events on the Great Barrier Reef over the past 20 years and it is only a matter of time before another one occurs triggered by the next marine heatwave. Almost half of the corals on the northern two-thirds of the reef have been killed. But at least some of the reef is showing impressive survival skills. Photo, posted November 29, 2012, courtesy of Robert Linsdell via Flickr.